I love nothing more than to sit down, relax, and have a little me time. On Monday, my post was all about 10 Self-Care Ideas. One of those ideas on my list was to paint your nails. I always feel so fancy when my nails are painted pretty, but the nail salon every 2 weeks was getting a little expensive for me. 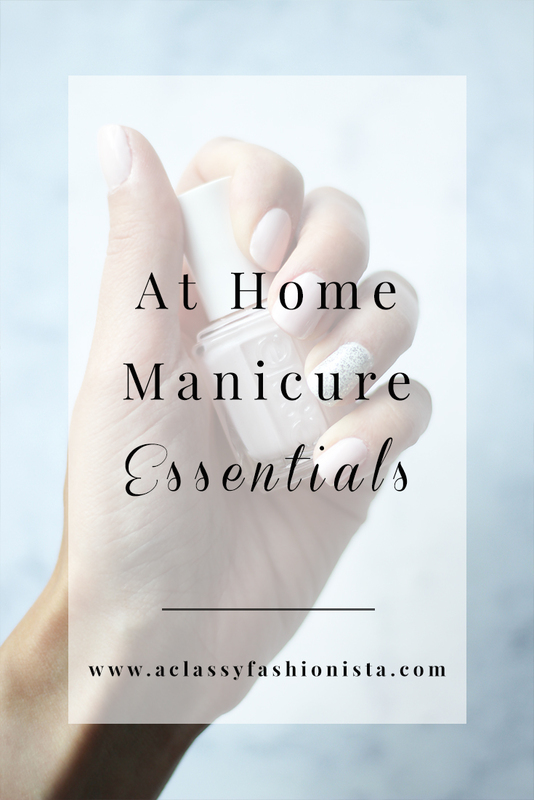 Once I started blogging full-time, I decided to start doing my nails at home on a regular basis. Today, I'm sharing all of my favorite essentials that give me (and will give you!) 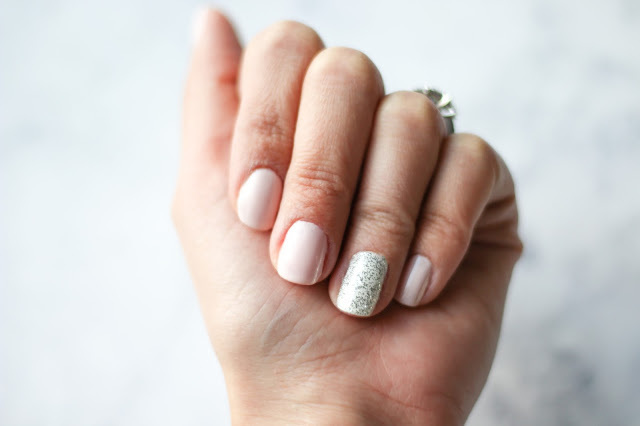 the perfect at home manicure. These links are affiliate links, which means I may make a tiny commission if you choose to purchase something. But don't worry, it adds no extra cost to you. 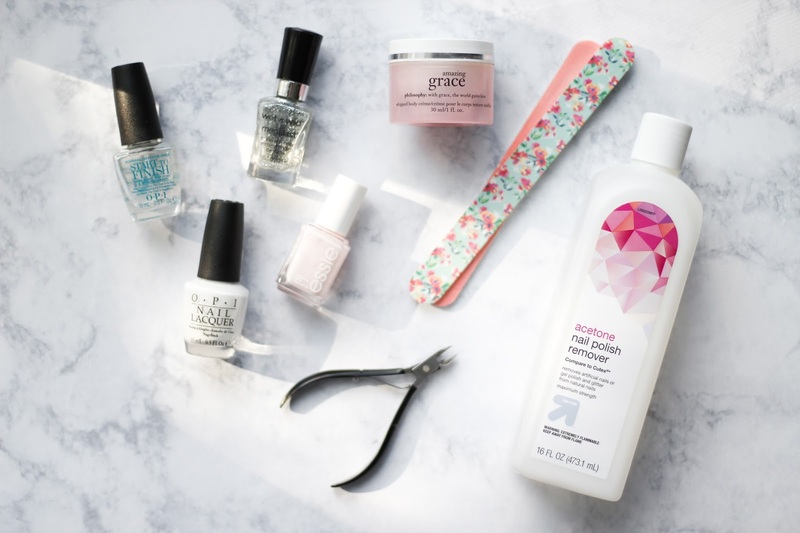 Pictured above are all of the essentials that I used for this super easy manicure. The items that I have linked are slightly different for a few of them simply because the packaging has changed. They also discontinued the Wet n Wild Nail Polish, and I had no idea, so I linked a similar inexpensive one for you! Yay! 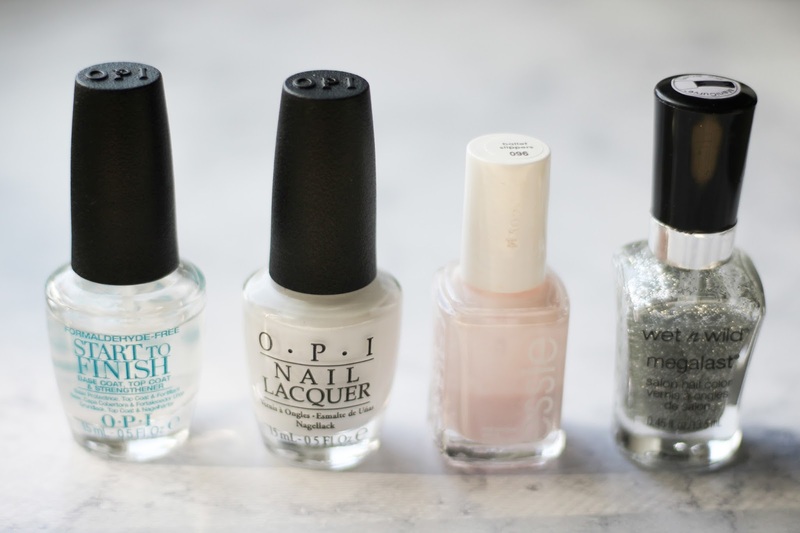 It's time to paint your nails! I have become obsessed with OPI Start to Finish. It is a base coat, top coat, and strengthener in one. I have been using this for a little over six months and you only need the thinnest coat on each nail. For my manicure look that I created today, I decided to have a little fun. I'm practicing different mani's that I could do for the beach and I thought a little sparkle accent nail would be cute! I will usually do two coats of each color, allowing them to dry in between coats. It obviously doesn't matter what color(s) you choose to use, as long as you love them! *Tip: Paint your thumbs last. This allows you to use your thumbs to clean up the nail polish that may have gotten on your skin! It saves so much time, too. Just keep a cotton round nearby with acetone on it, and you can wipe the polish off your thumb as you do your polish clean up! Once I have two coats of each color on my designated nails, I moisturize my hands with Amazing Grace Hand Cream. If you want to give yourself the at home spa experience, give yourself a mini hand massage while rubbing in the lotion! What are some of your favorite mani colors?! I would love your suggestions. Anyone else SO ready for fall colors? I cannot wait.